Tax On Sugary Drinks Could Help Middle Class Lose Weight : Shots - Health News If the country added a 40 percent tax to the cost of store-bought sugary drinks, including sodas and sports drinks, it would cut about 12 calories from the daily total from beverages for the average American. Soda on display in a Brooklyn, N.Y., market. 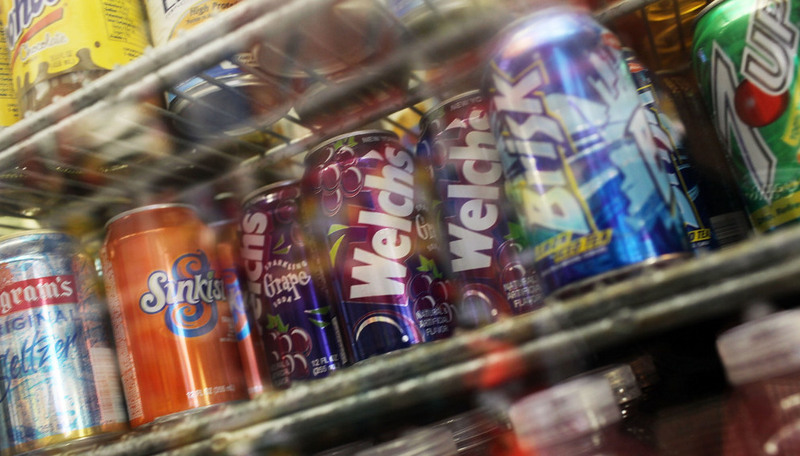 Would slapping a fat tax, so to speak, on sugary drinks help Americans lose weight? It might, if the tax is steep enough. But even then the benefits would be modest and would mainly accrue to the middle class, finds an analysis just published in the Archives of Internal Medicine. If the country added a 40 percent tax to the cost of store-bought sugary drinks, including sodas and sports drinks, it would cut about 12 calories from the daily intake of beverages for the average American. The researchers figure that could help people lose about 1 1/4 pounds. Without going into all the numbers, it turns out that a 40 percent tax would work better at discouraging consumption than a 20 percent tax. The reduction in caloric intake would also be more dramatic if the tax covers more types of drinks, cutting down on the options for low-tax substitution. No surprises there. The benefits from such an approach, if it were to become politically palatable, wouldn't benefit everyone equally, however. The analysis found that raising those drink taxes a lot wouldn't significantly cut the weight of the wealthiest or poorest Americans. The paper comes as taxing sugary beverages and junk food gets some traction in policy circles. But getting public support for such taxes could be a stretch. In April, NPR and Thomson Reuters surveyed Americans for their view on a tax hike for sugary drinks. About half — 51 percent — of more than 3,000 people surveyed either strongly opposed or opposed such taxes. One-third of those surveyed favor such a tax. With all the talk about the deficit lately, one factor to consider is how much money the taxes could raise. 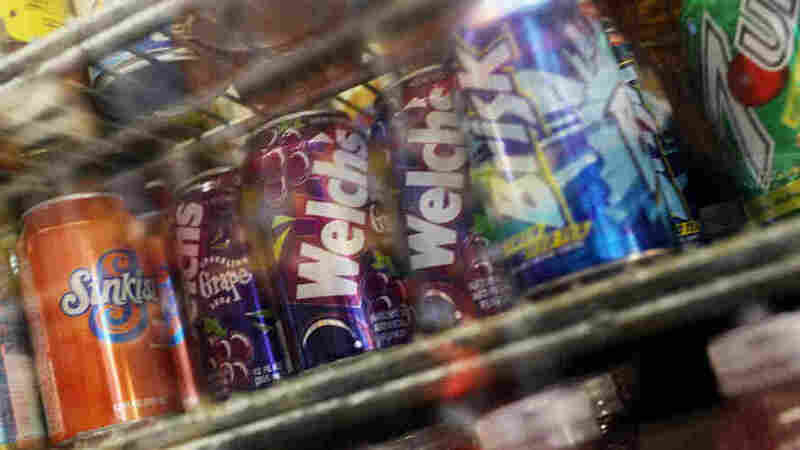 The researchers estimate a 40 percent tax on a wide range of sugary beverages could raise more than $2.5 billion a year. Maybe Americans would drink to that?